Happy New Year from Nobody! Here’s a classic episode from the Nobody Knows archive. Please tell Nobody what you think by leaving a review at Apple Podcasts. This week's episode comprises 3 shorter episodes from the the Nobody Knows archive. Hear them individually here, here, and here, and please tell Nobody what you think of this potpourri by leaving a review here. Nobody Knows features the voice of Nobody, with sound design by Somebody. Joanna Kessler asked this episode's question. Nobody was injured during the making of this episode. Somebody knows nothing about it. Nobody Knows features the voice of Nobody, with sound design by Somebody. Pedro Molteni asked this question. Nobody Knows features the voice of Nobody, with sound design by Somebody. Meg Kassabaum asked this question. Got questions for Nobody? Send yours in at www.themediums.org. Nobody Knows features the voice of Mason Rosenthal, with sound design by Morgan FitzPatrick Andrews. Bunny Slippers asked the question. Somebody doesn't snore, despite what everybody says. Nobody Knows features the voice of Mason Rosenthal, with sound design by Morgan FitzPatrick Andrews. Dave Nimmons asked the question. Bailey's Lucky Seven played the tune "Toot Toot Tootsie Goodbye" back in 1922. Nobody Knows features the voice of Nobody, with sound design by Somebody. Question asked by Summer Chiu. 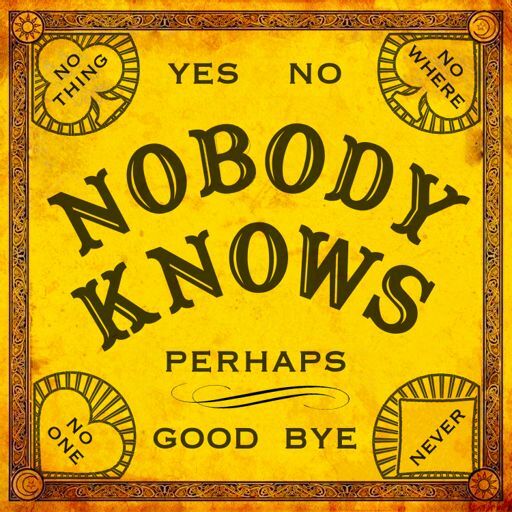 Nobody Knows features the voice of Nobody, with sound design by Somebody. Question asked by Kirk Lynn. Prayer bells rung for us by a flock of sheep in the Carpathian Mountains. Nobody Knows features the voice of Nobody, with sound design by Somebody. Question asked by Kylin Metler. Nobody Knows features the voice of Nobody, with sound design by Somebody. Question asked by the de Roche family. Music by Brüder Baldauf, recorded in the 1930s. Nobody Knows features the voice of Nobody, with sound design by Somebody. Question asked by Elizabeth Weinstein. Spanish military band music recorded by Radio Nacional in Sevilla sometime during the early 1950s. Nobody Knows features the voice of Nobody, with sound design and ace driving by Somebody. Question asked by listener Dana Haberern. Nobody Knows features the voice of Nobody, with sound design by Somebody. Question asked by listener Anastasia Wasko. Nobody Knows features the voice of Nobody, with sound design and cooking by Somebody. Question asked by listener Tenara Calem. Nobody Knows features the voice of Nobody, with sound design by Somebody. Question asked by listener Chelsea Murphy. Dungeon sounds by the band Cromagnon, originally released by ESP Disk in 1969.